Air Washers by APT Industries provide a highly efficient design which integrates all major functions of the complete air conditioning unit. 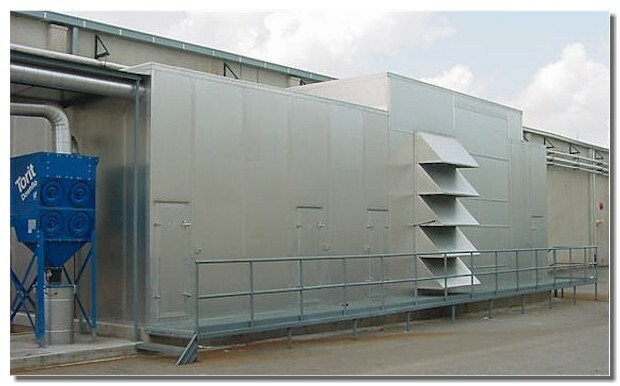 Standard unit construction utilizes a double bank of opposed sprays with 3-bend vertical inlet baffle blades and 6-bend vertical moisture eliminator blades mounted over an open sump tank and housed in a casing. Alternate designs are available, utilizing various arrangements of sprays and components constructed from specified materials. Medium & High velocity designs are available, allowing face velocities up to 1300 FPM. 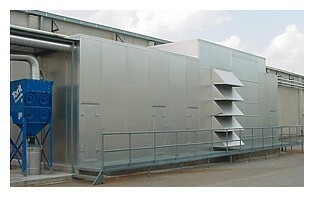 Click here for additional information on our AIR WASHER COMPONENTS.